Earlier this week Conchita Wurst revealed that her team of composers had given birth to a beautiful phoenix. Following a stunning live performance in Vienna, we now know that Conchita can give that phoenix life and depth and emotion. She really soars, y’all. Detractors have at times written Miss Wurst off as a joke. But her song “Rise Like a Phoenix” carries with it a serious message about perseverance and staying-in-the-game even when things go wrong. The live performance, which you can watch below, shows that Conchita has taken that message on board. She isn’t a silly aspiring pop star looking for her 15 minutes, but rather a woman on a mission—to show she can sing and to silence all her haters. The performance gives us a taste of the dramatic staging we can expect in Copenhagen. Will it be enough to make the final? We certainly hope so. The song is amazing, it should be the next James Bond song, and the live performance is really great. I do hope they manage to put an equally awesome show at eurovision and that everyone that objects on grounds of gayness or whatever they don’t like , will reconsider and admire a truly beautiful song. Video version was much better. Live the song is kind of annoying. Some songs are better when performed live some worse and this is in the latter category. I love the staging, I guess it would be fairly simply and not campy. She’s not a camp kinda gal. Great song and amazing singer ! Hope to see her in the Final ! This performance is so amazing! The song, the voice, the lights, the special effects,… I love it! For me Austria is safe in the final and I cross my fingers that Conchita will end up in the top 5 together with Italy, Israel, Macedonia and Armenia. For me this is a top 10 entry. She has given much attention to the light and pyro effects, I hope at least the western european countries will vote for her! I love the song ever more now that s/he can sing it great live. Go Austria, I hope it gets through to the final. This is one of the best songs this year. I have high hopes for Austria now. I think Top 5 on Grand-Finals will be UK, Armenia, Austria, Spain and Italy. I think everyone’s been very surprised with this one. Just hope she makes the final! Just felt like sharing this: some guy wrote “Great song. Great beard.” on YT. Know what? That is the kind of slight change of perspective I still needed to make up my mind (I’d already loved the song) about the whole thing. It was always clear to me that this was no joke entry. Plus the live performance, which was very good and I am betting s/he will improve, I can see it as a serious contender for Top 10 material. Pity there are quite a few songs I also like a lot this year. Conchita sounds amazing and the staging is really good. Flame on! It really shouldn’t matter if the countries are supportive of the LGBT(and however many other letters you want to add) community. The jury vote should save the song because the song’s quality is really good and the voice is great, even if the image isn’t the most comfortable for someone to see. Absolutely impressive. No idea she could belt like that. Honestly, I was quite worried listening to the record, wondering if she could pull it off live, but now I am convinced. She will leave quite the impression. Well done! @Lio Anch Don’t forget about Germany and the United Kingdom. Austria will definitely need big points from them to get through. Hopefully, Germany will give Austria their 12. Well, we need to take a look at the other countries in that semi who will vote for it. Besides Norway, Israel, Finland, and maybe Ireland I can’t see any other open-minded countries or tolerant towards the LGBT community in order to give points just based on the song. 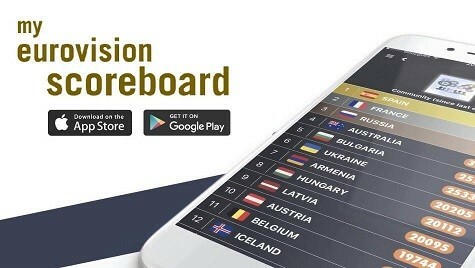 Norway, Israel, and Finland are definitely going to give high score to Austria in this year’s second semi-final. @nauportus90 It is definitely live! Conchita is so amazing. The juries had better get her through to the final. live performance?! it couldn’t be more obvious she was lip-syncing. I love the drama she brings to the stage, it’s very elegant and diva-ish. I hope she goes into the final.. I really hope Conchita makes it! This deserves to be seen again in the final!